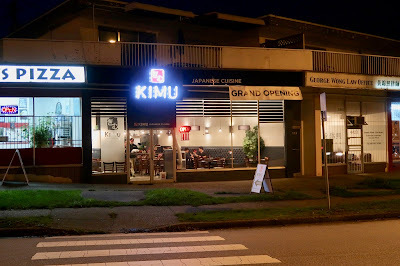 About two months ago, when Kimu Japanese Cuisine first opened its doors, my Instagram feed exploded with pictures of sushi in virtually all the various forms I could imagine. At Kimu, there's the Sushi Cake, sushi with kimchi on it, and enough species of Sushi Pizza to give the pizza place next door a hard time. They might as well add sushi pasta and sushi fries to round off the selection. There were more things that I wanted to try than I could stomach, so I had Kyle and Emperor Enoch (thanks for the nickname suggestion, Luke) join me on this adventure. Emperor Enoch doesn't exactly have the best of luck when it comes to traffic, so I had a good 20 minutes to comb over the menu and sip some hot green tea to relieve myself from the cold weather outside before his arrival. I was quite surprised by how quickly the restaurant began to fill up, despite its rather inconvenient location. 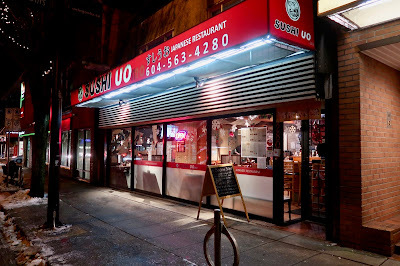 By 5:30 p.m., the place was bustling, and by 6 p.m., it was full. All that Instagram coverage combined with very reasonable prices seemed to have worked wonders for the restaurant. Oddly enough, first to arrive was the Okonomiyaki, which was a success. The pancake was soft with a slight crispiness around the edges. 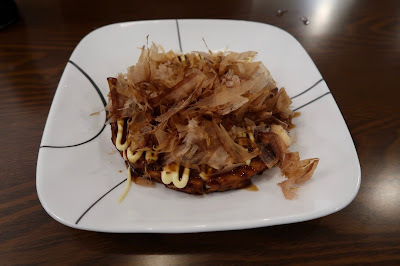 There were plenty of bonito flakes on top, as well as a good balance of Worcestershire sauce and mayonnaise. 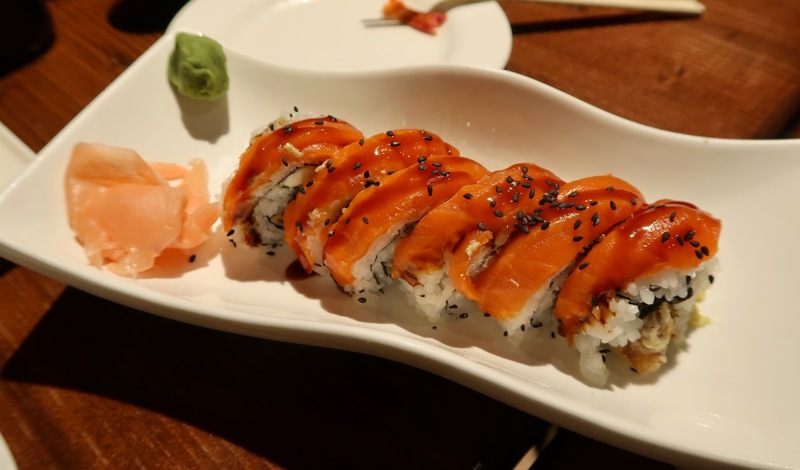 Arriving quickly afterward was the Bomb Roll, which consisted of mayonnaise, lettuce, avocado, cucumber, masago, prawn tepura, spicy tuna, and chopped scallop. Of course, we ordered this because the name suggested that it would be bomb. 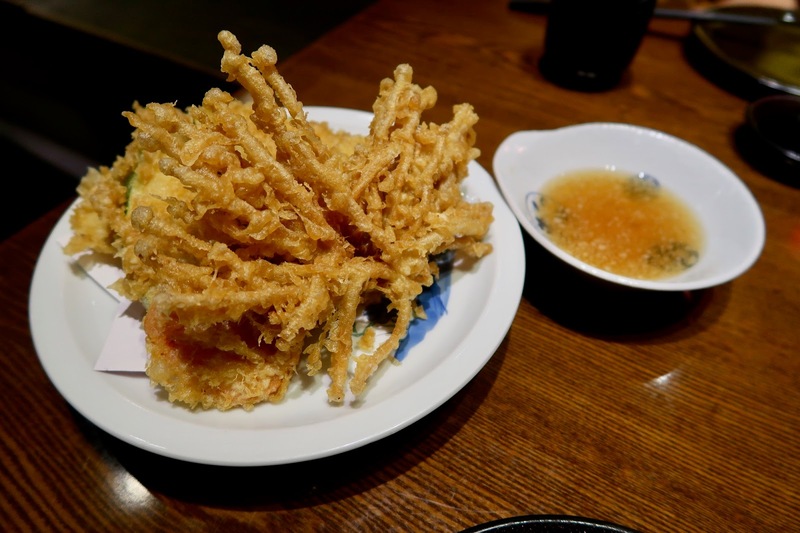 Indeed, it was neatly constructed, and the flavour of the prawn tempura was projected well. However, the other ingredients were a little hard to discern. 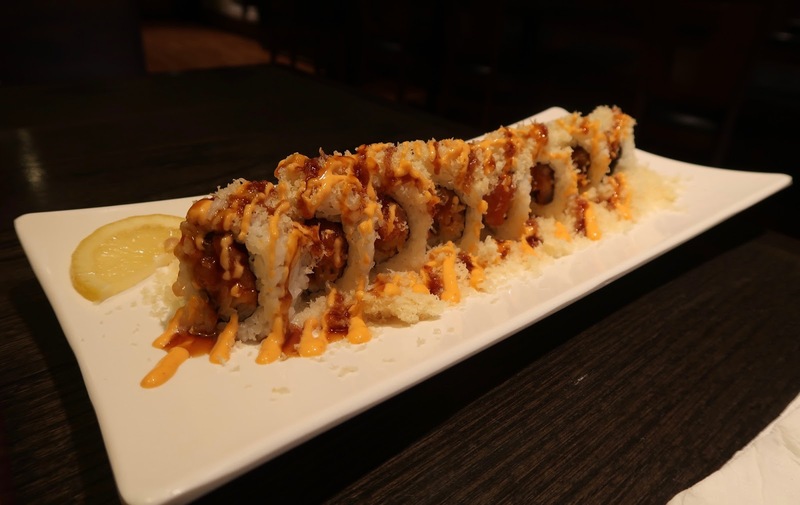 A light spiciness added some depth of flavour to the roll. 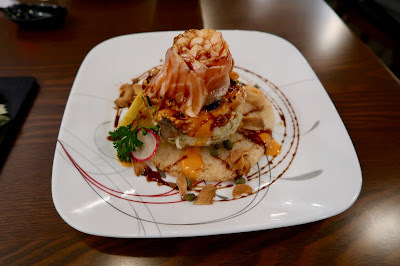 The Sushi Cake, which is effectively Kimu's poster child, consisted of sushi rice dough, crab meat, avocado, shiitake mushrooms, torched salmon, spicy tuna, tobiko, BBQ sauce, spicy mayonnaise, balsamic reduction, garlic chips... actually, scratch that. Simply put, the Sushi Cake consisted of sushi rice dough and the entire T&T Supermarket. If you want a single item with as many sauces as possible, then this is it. I liked how the dough was crispy and not too chewy. A seared flavour was evident in the creamy seared salmon, and the garlic chips provided a nice zing. To top it all off, the Sushi Cake was only $9.50! 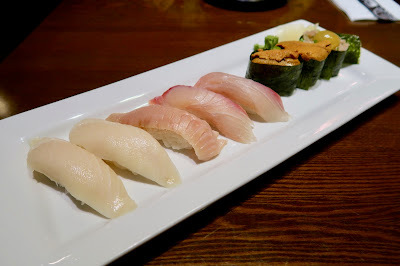 Next, I had the Aburi Sushi Combo, which came with six pieces of Aburi (seared) sushi. 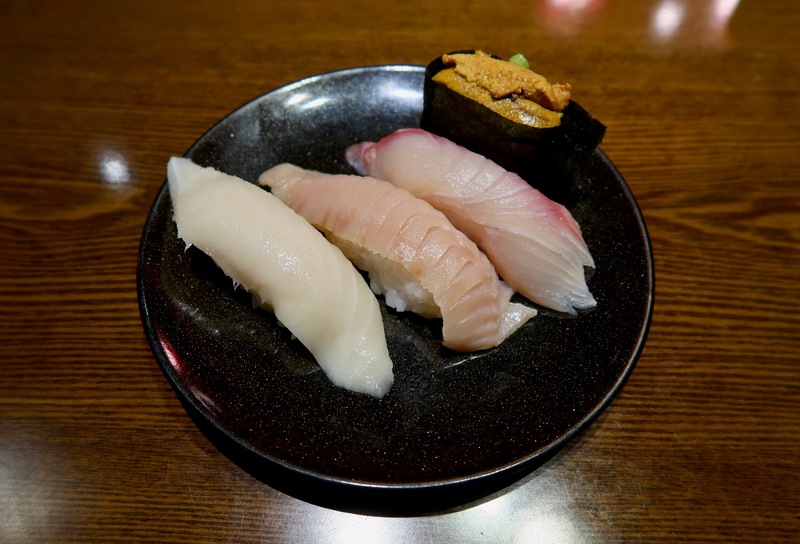 The highlights were the hamachi toro, which was topped with a light helping of spicy mayonnaise, and the soft and creamy amaebi, which had the best seared flavour out of all the pieces. 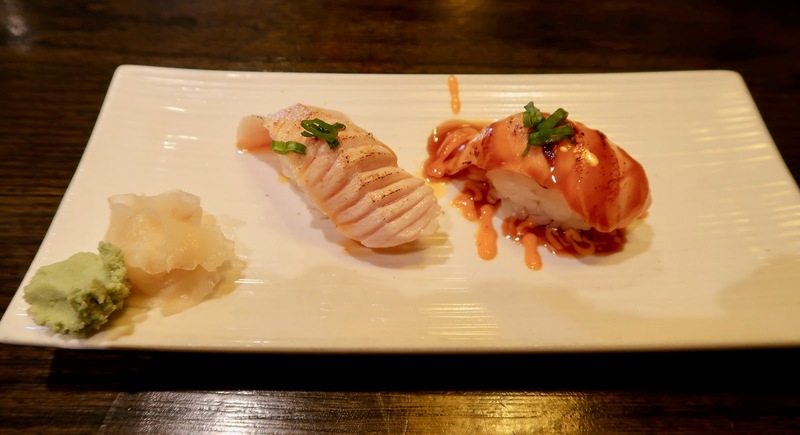 The other pieces were decent, and the sushi rice was packed correctly. 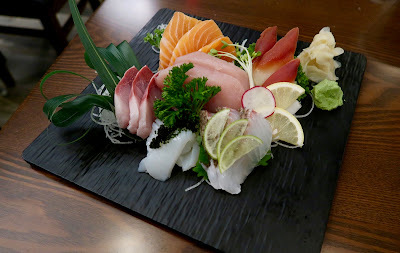 Finally, because we all needed something Snapchat-worthy, we ordered the Deluxe Sashimi, which came with three pieces each of salmon, tuna, hokkigai (Arctic surf clam), hamachi (yellowtail), ika (squid), and tai (snapper). Most of the sashimi was very fresh, including the creamy and buttery salmon, the very melty tuna, and the soft ika. The parts of the tai near the scales were chewier, but it was otherwise quite soft. The hokkigai could be sweeter, and the hamachi was slightly fishy, though smooth. 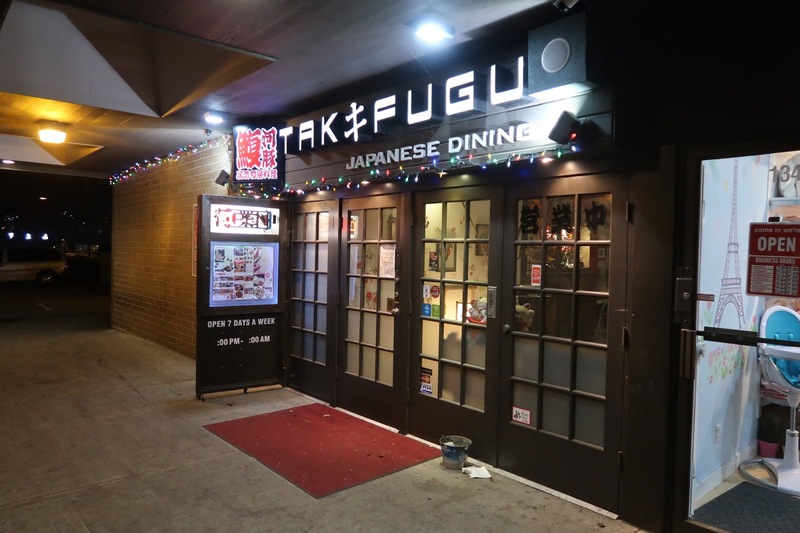 The service was sparse at times due to the high number of customers, but overall, we were more than satisfied with the food given the prices. There wasn't a single item we found below average. 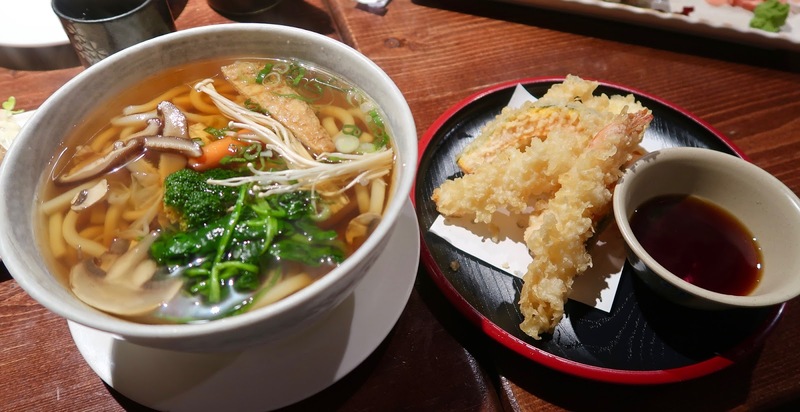 With wallet-friendly prices, ample creativity, and well-prepared food, this restaurant deserves the customers it is getting, and I have Instagram to thank for this great find. Sometimes, university will force you to push your limits and reach new highs. That's what I experienced this past month. I always thought I needed at least 4 hours of sleep to survive a day of lectures, but it turns out that I could push this limit down to 2 hours. All I needed was a ridiculous amount of bubble teas and frappuccinos to help me reach enough sugar highs to get through the day. I didn't really have a choice due to the never-ending slew of difficult assignments, quizzes, and projects I had to complete. 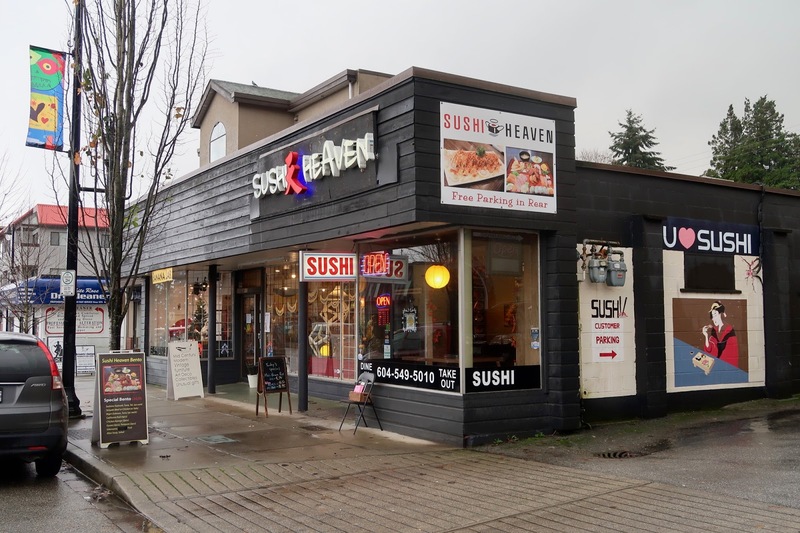 To give myself a break from my hellish schedule, I dragged xSupaD with me to visit Sushi Heaven in New Westminster. Sushi Heaven is a moderately small, Korean-operated Japanese restaurant located near Ikoi Sushi in the north part of New Westminster. 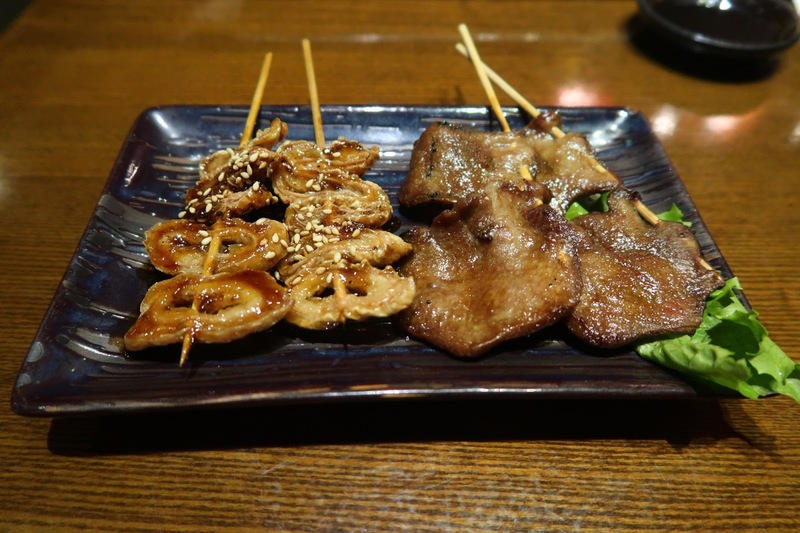 The variety of items on the menu was largely in line with other Korean-operated Japanese restaurants in the vicinity. 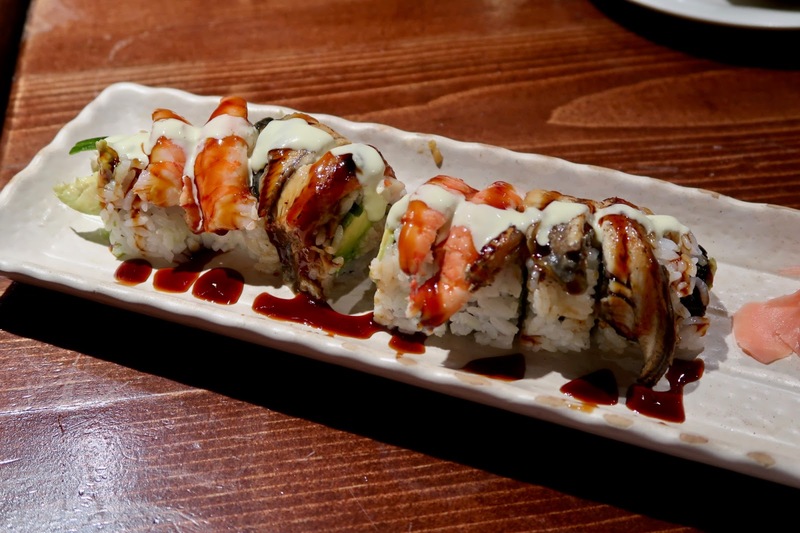 There were special rolls, seared sushi, bento boxes... you name it. The restaurant had a nice bleach scent when I walked in, which meant that we got to enjoy the clean bathroom scent for the first half of our lunch. First to make it to our table was the Tuna & Salmon Don. 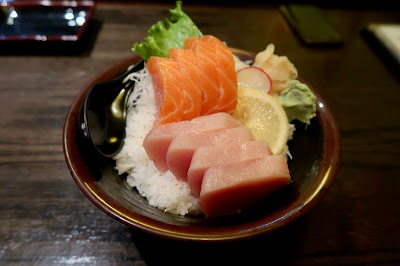 The salmon was fresh, creamy, buttery, and really soft. The tuna was not fishy, but not particularly soft either. 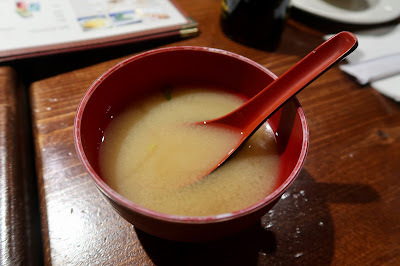 Both of us found the sushi rice overly sticky, and it was slightly too warm as well. 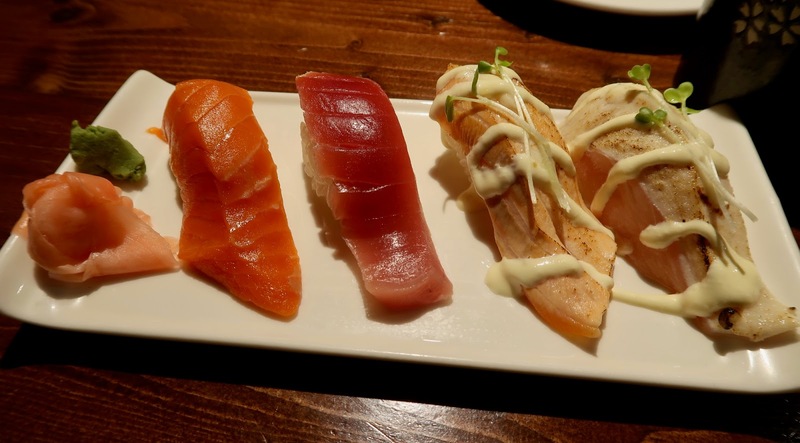 Of course, there is no seeing seared sushi on the menu and not ordering it. The Seared Toro Nigiri was soft, juicy, and quite full of fish oil. It was seared the right amount, and I also liked how it was seasoned for more flavour. The Seared Salmon Nigiri had a good amount of spicy mayonnaise to highlight the seared flavour of the salmon, but we found the teriyaki sauce quite heavy. Arriving on a separate plate (darn the fact I had to take one more picture because of this), the Unagi Nigiri came with some crunchy seaweed. 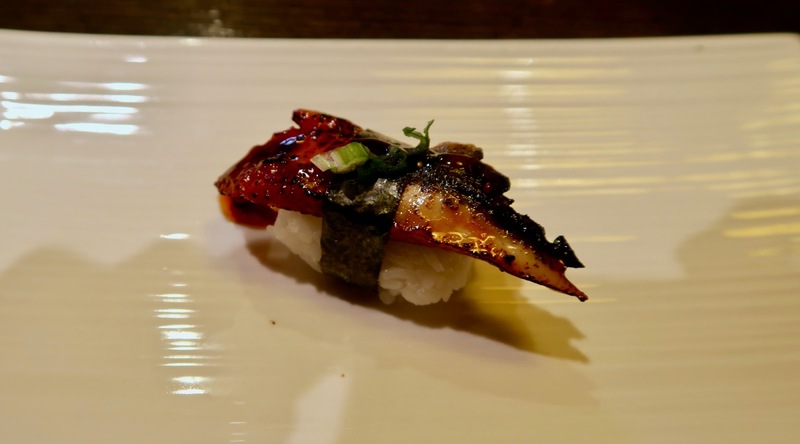 I would have liked a more smoky flavour on the unagi itself. 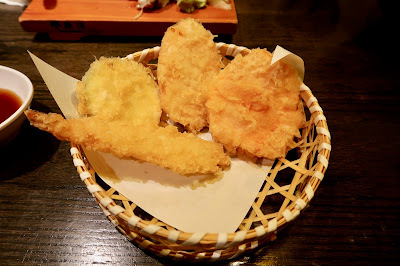 Next, the Appetizer Tempura came with four sizable pieces of tempura: carrot, sweet potato, prawn, and zucchini. Funny enough, even though I am totally a meat person, I ended up enjoying all the vegetables more than the prawn. The vegetables were all sliced to appropriate thicknesses and were pleasantly juicy, while the flavour of the prawn was obscured by the very thick layer of batter surrounding it. The batter itself was quite greasy and rather mediocre. Moving onto the sushi, the Chicken Teriyaki Roll was quite rice-heavy, and the sushi rice turned out rather mushy. There wasn't enough chicken to balance out the rice. Since xSupaD really enjoys crunchy tempura bits, we had the Spicy Tuna Crunch Roll, which consisted of spicy tuna, crunchy tempura bits, spicy mayonnaise, and teriyaki sauce. 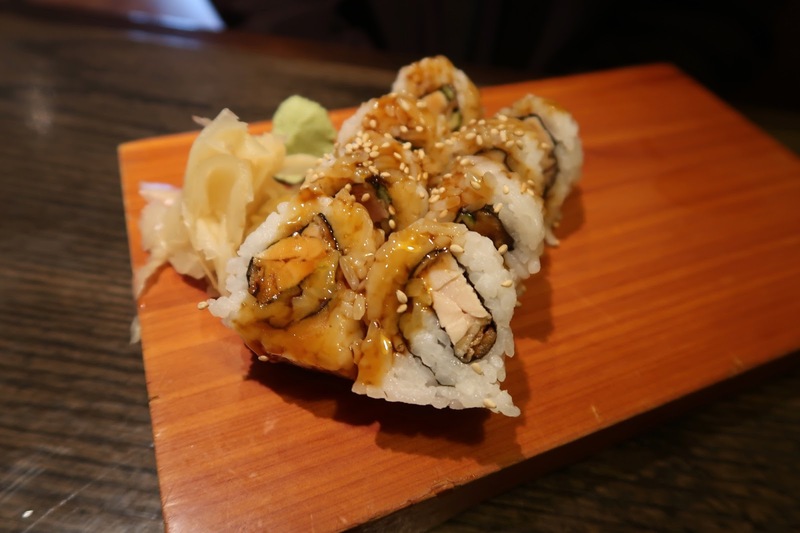 Well, the best part of this roll turned out to be the crunchy tempura bits. 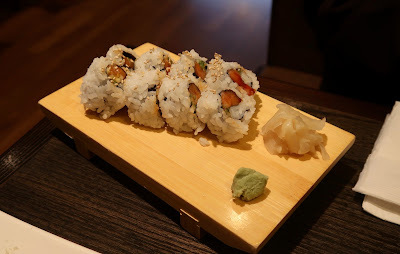 Unfortunately, I couldn't get over the mushy sushi rice, and the tempura bits felt randomly sprinkled on rather than integrated into the roll due to the contrast in texture between the rice and the tempura bits. We received decent service during our visit. 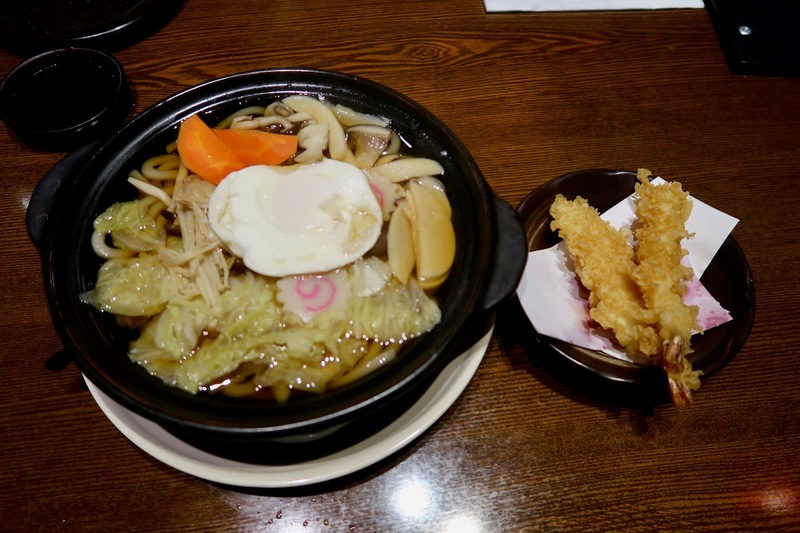 Overall, the restaurant's most attractive features were the good prices and the wide selection of items on the menu. 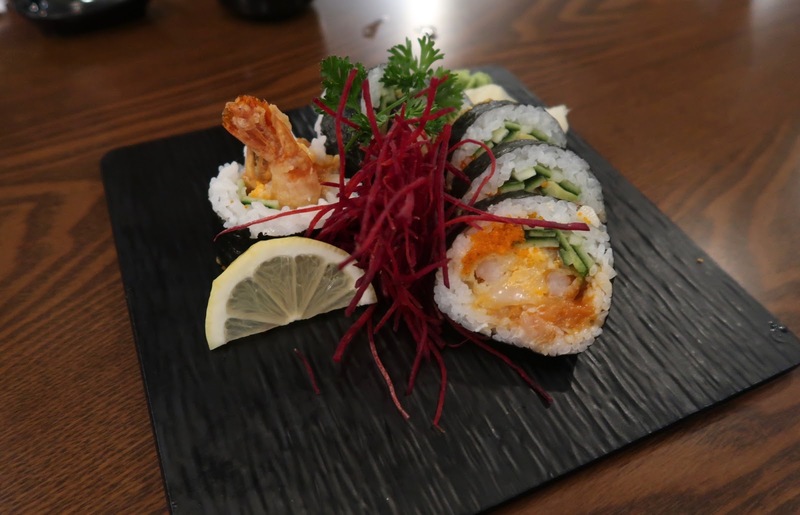 The food itself was a little hit-and-miss, and the sushi rice needed some work. In either case, the food did the work, and I enjoyed a nice four-hour-long food coma afterward. I guess food comas last longer when you only sleep 2 hours a day.